The Daily Vegetarian Recipes Blog! Please check out the new blog. I would love to receive your comments! If you are not familiar with blogging, simply click the link that says "Comment" at the bottom of the post. Fifty Plates of Greens shows you 50 delectable ways to prepare 14 varieties of greens. From stews to stir-fries and pasta dishes, you will learn new ways to prepare and enjoy greens. All recipes are vegan, low-fat, and designed to promote good health. What's more, most of the recipes are gluten-free, and the few that aren't include gluten-free substitutions. The majority also consist solely of whole food ingredients, sure to please anyone trying to eat a "clean" or unprocessed foods diet. And since the recipes contain no added sugar, cheese or butter, they are ideal for anyone watching sugar intake or trying to control weight. Isn't it time to eat more greens? Check out Fifty Plates of Greens today! Perhaps you are wondering why DailyVegetarianRecipes .com hasn't been updated in a while? I am focusing on the Vegetarian Light blog and Facebook page. 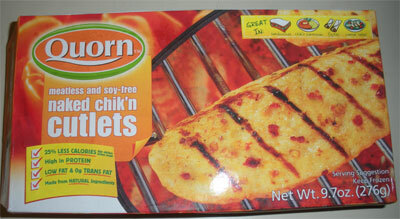 Quorn brand mock chicken cutlets can be used with a variety of different sauces. Tangy mayo with capers and lemon gives this sandwich a twist you won't be able to resist. 1) Cook crispy mock chick’n patties in oven, according to package directions. 2) Meanwhile, mix together ingredients for lemon caper vegan mayo. 4) Place one crispy mock chik’n patty on a bun. 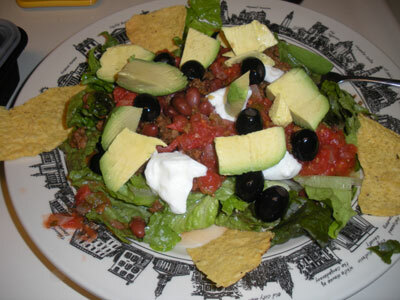 Top with 2 or 3 pieces of roasted red pepper and 1 or 2 lettuce leaves. 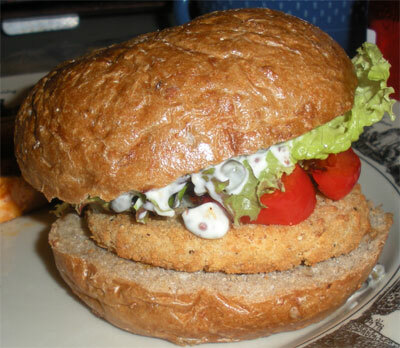 Spread ½ of the vegan mayo on the top bun. Make into a sandwich and serve. Peanut soup can trace its roots to Colonial Williamsburg. 1) In large kettle, cook onion and celery together with butter until tender. 2) Add flour and broth. Stir until well blended. 3) Cook until heated through. Add by ladles to a blender and blend to smooth consistency. 4) Return to a new kettle. Stir in peanut butter and milk and heat. Thank you for your interest in vegetarian cooking! Please send me an email if you would like to be added to the monthly email update.